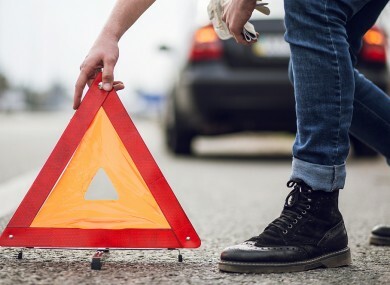 THE MOST COMMON cause of a car breakdown continues to be flat or worn-out batteries, according to a nationwide survey of callouts by the AA. A total of 23% of the 100,000 breakdowns analysed were due to battery faults, followed by 14% relating to a tyre problem such as a puncture. After that were problems with the clutch (3%), engine (3%) and alternator (2%), which gives an indication that more older cars are on the roads. The AA’s director of consumer affairs Conor Faughnan said: “These are issues normally associated with ageing vehicles. Evidently, more people are purchasing new cars, with registration up by around 30% so far this year. It’ll be some time before this is detectable in the landscape of breakdowns, though. Overall, the number of breakdowns rose by 5% year-on-year, partially due to a rise in the number of vehicles on the roads. “Anyone need only travel via the M50 on any one day to know that there are a lot more people out and about,” Faughan said. He said that fuel sales can be used as an indicator as to how many more cars are on our roads. Although signs of an economic recovery are becoming more apparent in some areas, fuel sales rose by just 2.5% this year, compared to 2.2% in 2014 and a massive 9% in 2013. Our best advice is to ensure that your car is serviced regularly and you’re carrying out your own simple maintenance checks in between. Email “This is the most common cause of breakdowns for Irish motorists”. Feedback on “This is the most common cause of breakdowns for Irish motorists”.